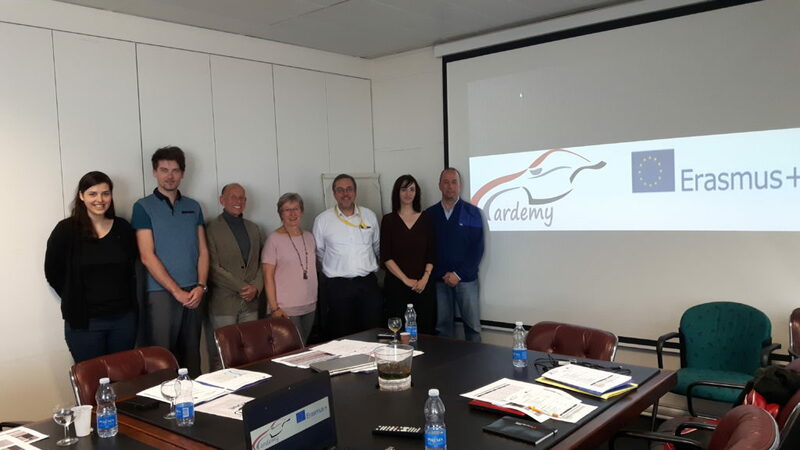 The second CARDEMY meeting took place in Toulouse (France), the 10th and 11th May 2017. Partners gathered in Madeeli’s premises, partner of Mecanic Vallée which hosted the meeting, to discuss about the project progress. First step of CARDEMY project was concluded during the first day of this meeting. Partners established technical content of the future training in Industry 4.0. This work is the result of surveys of stakeholders, realized by project partners in their own country. Interviewed stakeholders represent a large panel of companies in term of nationality, size and activity: 45 companies were questioned, representing about 10,000 workers. The day ended with a convivial Joint Social Dinner in the city. The second day was dedicated to the presentation of the next step of the project, which aims to create the course content. Schedules were established and tasks have been distributed among partners. Next meeting should be held in Czech Republic, in October 2017.